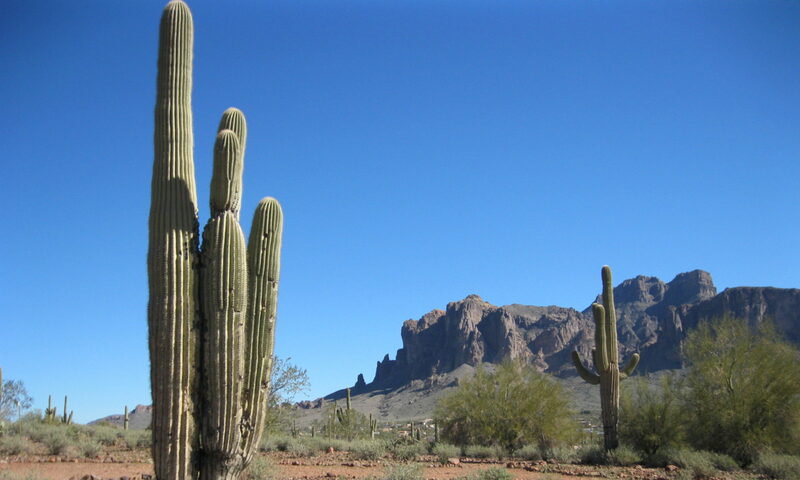 The Superstition Mountains have a lot of legends and myths surrounding them. Or maybe they surround the myths and legends. I have been fortunate to have met many of the old timers that grew up chasing the Lost Dutchman’s mine. The Dutchman was neither lost, nor Dutch. He did find gold. He died, and his mine, which may have never been a mine, has been lost. The prevailing theory is that he discovered a cache of Spanish gold, sometimes called Peralta gold. It is said the Spanish hoarded the gold in a cave for safe keeping from the Apache and thieves before transporting it back to Mexico. Some claim it has been found and laundered through other mines. Some claim the mine is now under one of the lakes fed by the Salt River and created by the many hydroelectric dams that power the East Valley. Deep in the Superstitions there are still enclaves of “miners” illegally searching for the treasure. You are taking your life in your hands if you stumble upon someone’s “claim”. Dave, I will not use his real name to protect his identity, claims to have been in the cave that once housed the Dutchman’s gold. Last night he swayed this skeptic. 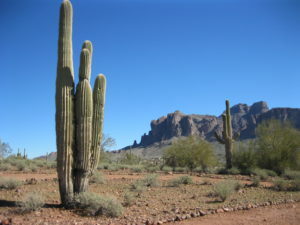 In the desert, water is scarce. The one method employed by the locals is dowsing. You would be familiar with the methods using birch sticks or other sticks to dowse for water. The new dowsers use dowsing rods, hand made by the dowser themselves. Dave’s dowsing rods had handles crafted out of PVC. Each handle was drilled to hold a heavy copper welding rod, inserted into the handle and bend at 90 degrees. You stand upright, holding the rods at roughly a five degree angle downwards in front of you. The rods swing freely, and there is really no way to direct how they move. Gravity keeps them centered. Dave demonstrated on his patio on his house in the desert. He walked and the rods stayed perpendicular to each other, pointing straight ahead as he walked. He then tossed a heavy set of keys on a key ring on the ground and walked. As the rods hovered over top of the keys they immediately crossed. X marks the spot. He continued walking and the rods then went back. He then walked to me with the rods extended, and as he approached me, the rods spread apart as they approached my head, separating. I was certain that he was controlling them in some way or another. He then handed them to me and told me to try. Well, they remained straight as I walked around his patio. But with he tossed the keys under them, they crossed. I then held the rods and walked up to one of the girls. As I approached them, the rods spread open as extended them to their head. The old timers all agreed that they have used them to find water, and claim that certain employees of the water companies use them to this day when seeking water leaks on underground lines or looking for old water lines. I can’t explain how they work, but last night’s demonstration has made me less of a skeptic.